I have come a long way when it comes to my skin care regimen. I am embarrassed to admit that when I was much younger, using my body wash to cleanse my face used to be entirety of my skin care regimen for years. 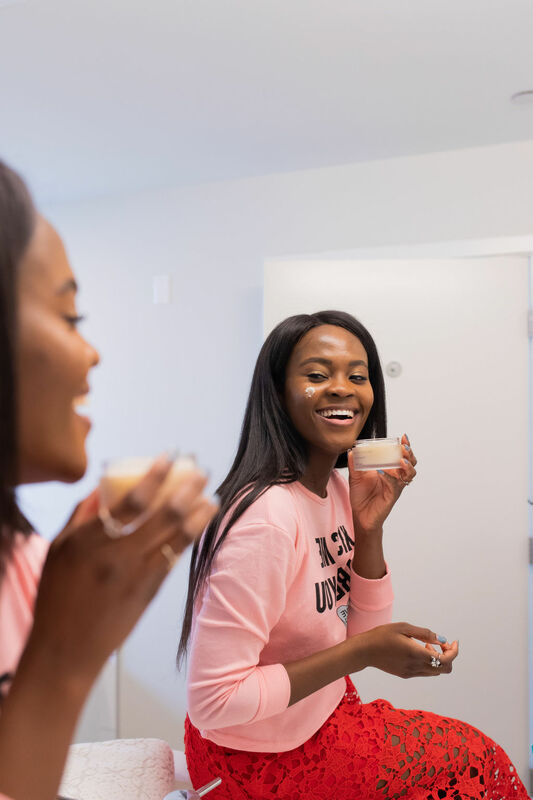 I got a wake-up call in my early twenties when my teenage acne became adult acne, and I knew I was doing nothing to help the situation with my one step skin regimen or lack thereof. Fast forward several years, I am more conscientious about what I use on my skin. Between regular appointments with my dermatologist, I have an arsenal of products that I use to help keep my skin on track. Most recently, I started using Beautycounter which I am sure will appeal to most of you because it is a cleaner and safer beauty line. What does this mean? 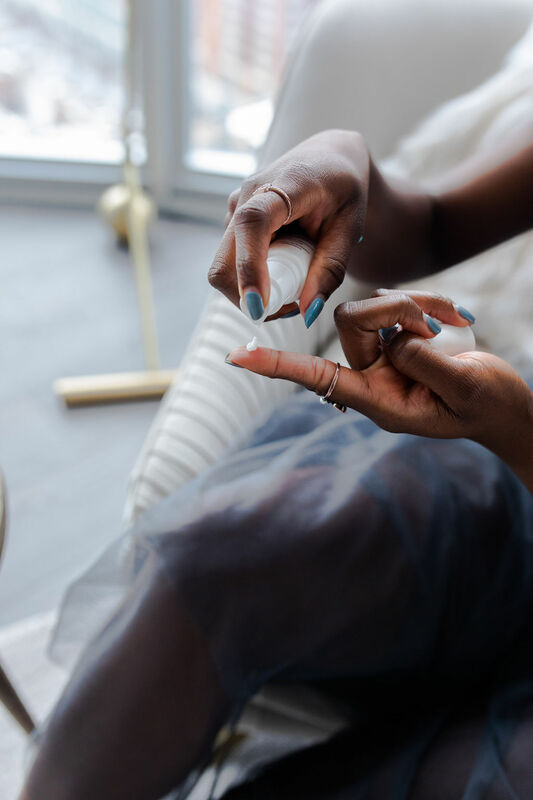 Beautycounter is dedicated to creating products that are better for our skin by avoiding questionable ingredients that could be potentially harmful on our skin. 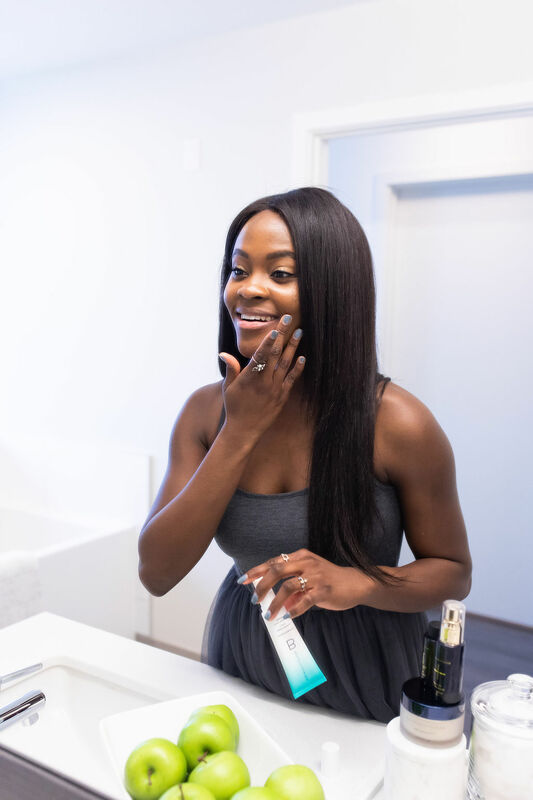 Essentially, their goal is to ensure that the entire line of products meet higher beauty standards that lead to safer beauty routines. This is one of reasons why I decided to take the plunge and try Beautycounter without any hesitation. That, and the fact that I have a few friends who absolutely love the products. I am currently using the Cleansing balm nightly which does a phenomenal job of thoroughly cleansing but still leaving my skin feeling really soft. Typically, I take off all my makeup first with a makeup wipe, which is not necessary but it is a routine I am used to and it works for me. 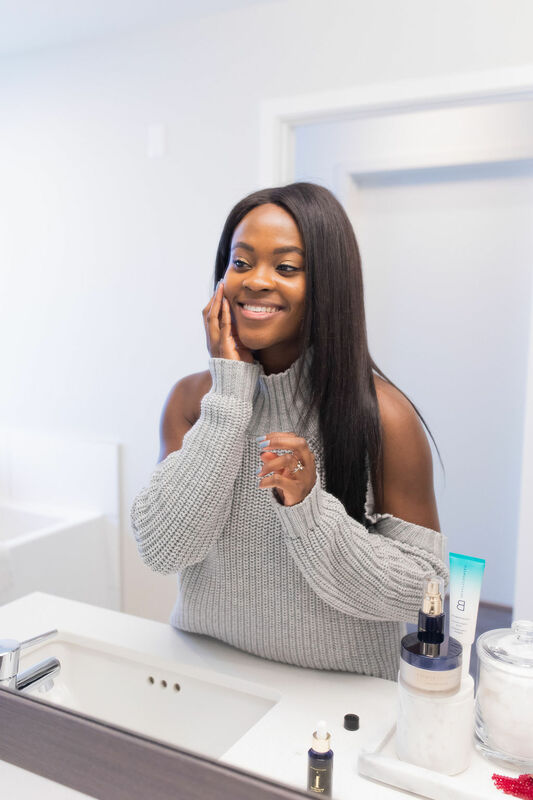 Over the years, I have noticed that my skin loves hyaluronic acid because it makes my skin feel plump and healthy. 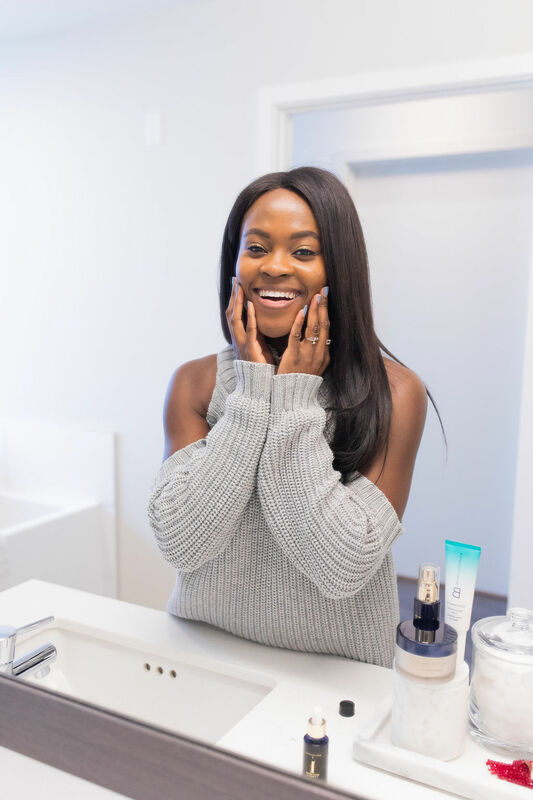 I am very optimistic about the long term benefits of the overnight resurfacing peel because it specifically targets the appearance of dark spots, fine lines and pores; and it has hyaluronic acid which I love! The overnight resurfacing peel is very gentle on my sensitive skin and I like the smooth light weight texture as it glides onto my skin. I can’t wait to share long term benefits in a few months. Vitamin C is an absolute must for my skin. 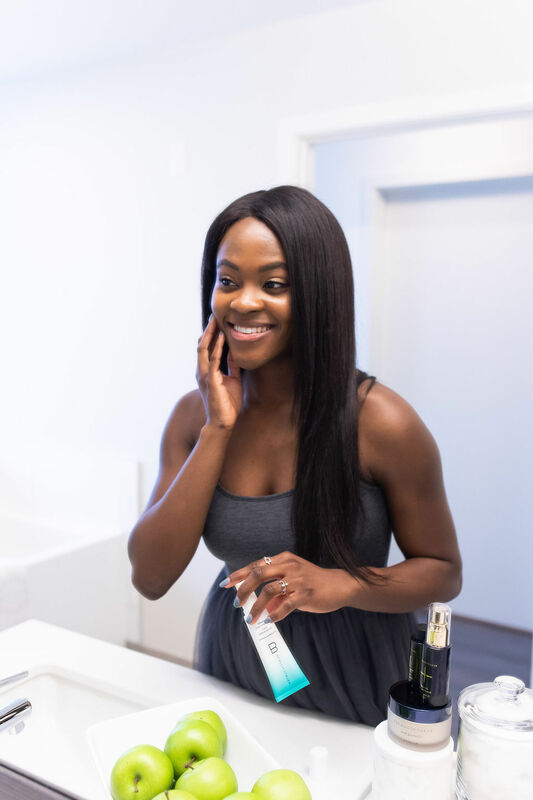 I have dark spots from acne scarring and Vitamin C is great for brightening skin and for reducing the appearance of dark spots even on African American skin. I typically have oily skin so I was hesitant to add oil to my regime but for the sake of an honest review, I took the plunge. 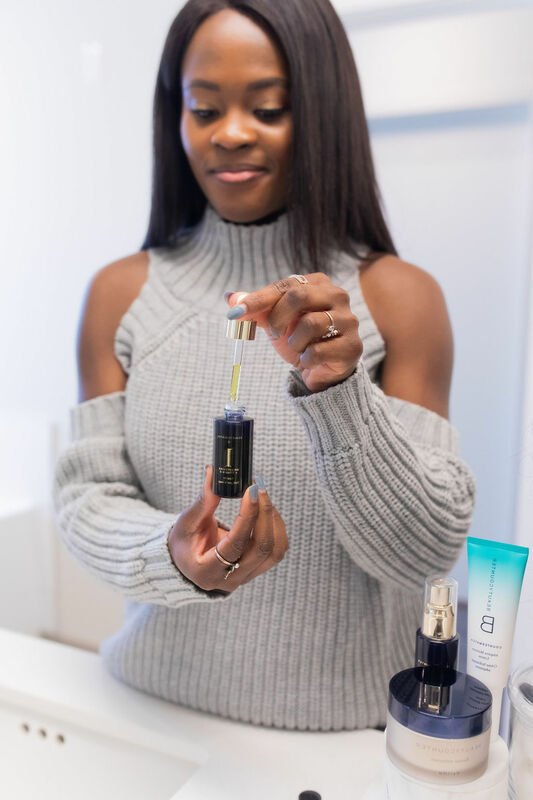 I was very pleased, I use the brightening facial oil nightly with or without the countermatch adaptive moisture lotion, depending on how my much moisture my skin needs. The oil feels light weight and is not sticky. Plus it has the most amazing citrus smell which I absolutely love. My absolute favorite thus far is the countermatch adaptive moisture lotion. I often struggle to find lightweight lotion that I can wear underneath my makeup for hours. With most lotions, I end up looking very oily within hours. However, I have used this lotion in the AM and PM and cannot report that problem. I feel moisturized and haven’t noticed any additional breakouts, so I couldn’t be happier with it. With Valentine’s day on the horizon I think this is a great gift option for yourself. 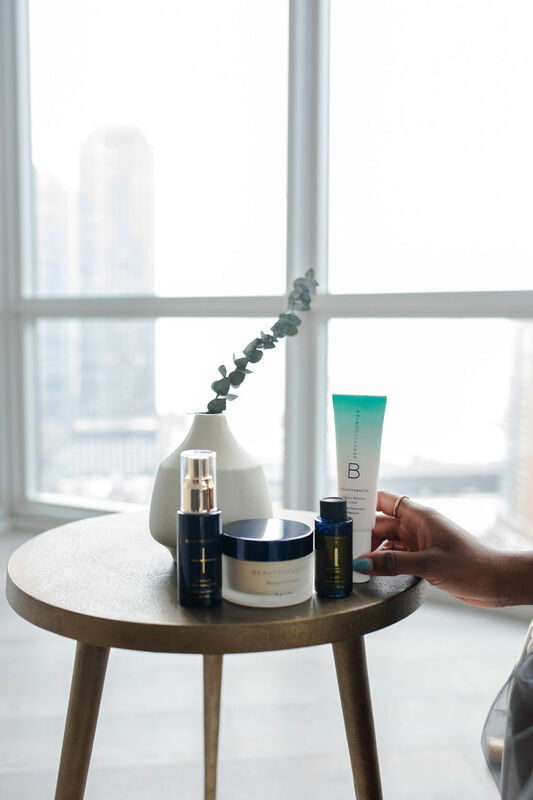 More so, if you have been thinking about trying safer beauty options, I think Beautycounter is a great place to start. 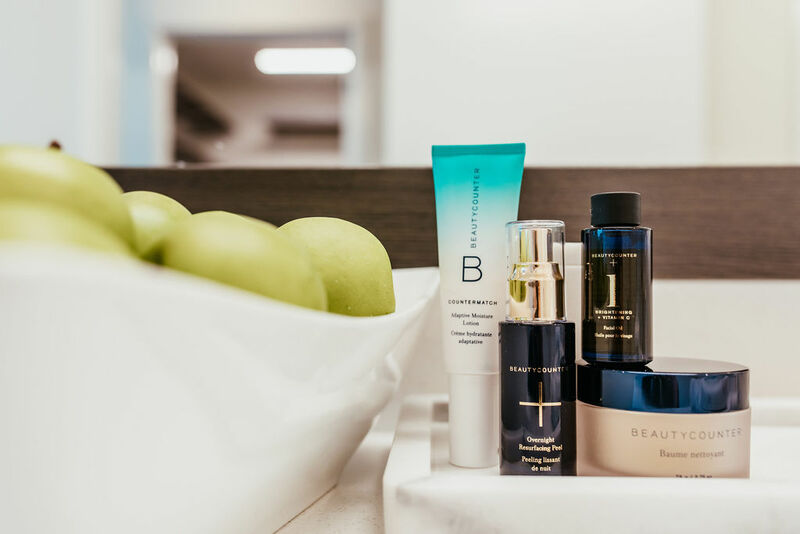 I haven’t fully committed to exclusively using safer, cleaner beauty products but I can definitely say I’m keeping some of these Beautycounter products in rotation.